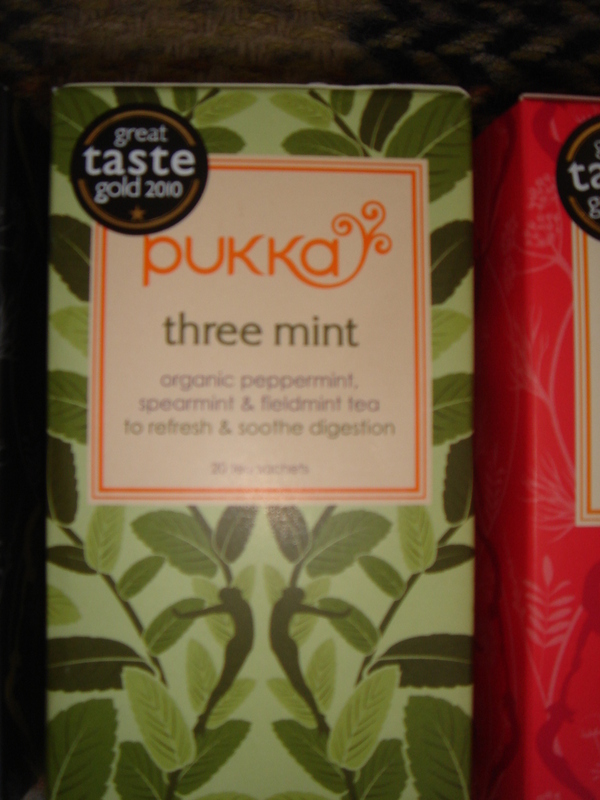 Pukka Tea Review and mini giveaway! 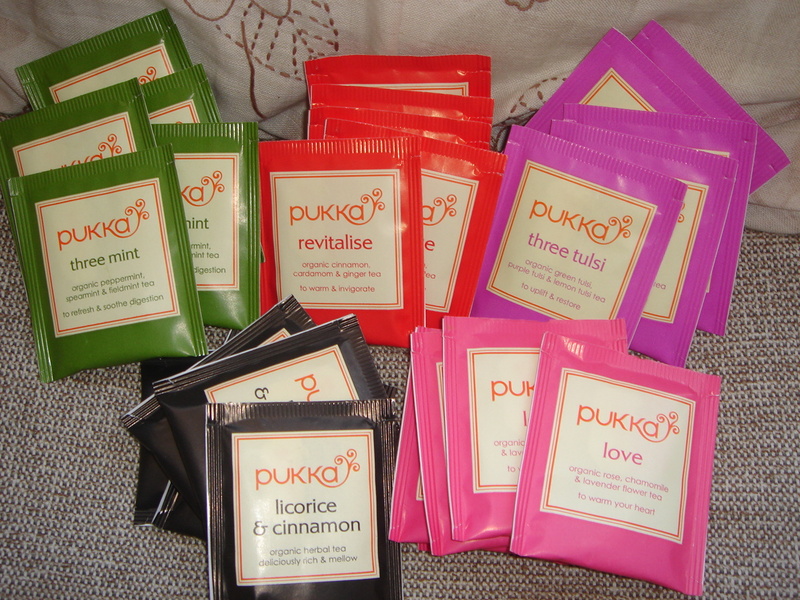 A little while ago I was sent some Pukka teas to sample and review. 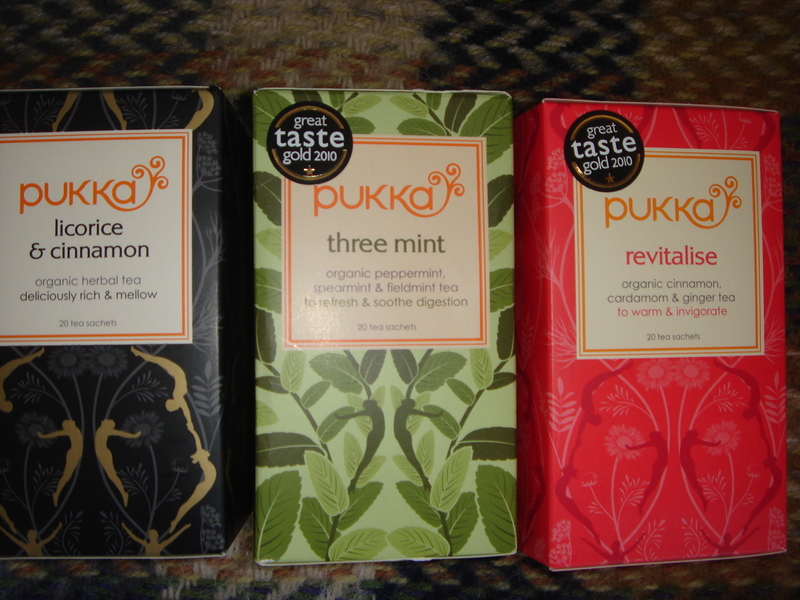 I am a huge fan of tea generally and I drink a lot of the Pukka tea brand, so I was excited to try these out! Pukka was started by Tim Westwell and Sebastian Pole who were brought together by their mutual interest in promoting wellbeing. They started off the business in Tim’s spare bedroom in Bristol, and now 9 years later they are a very well known brand. The name Pukka translates from Hindi to mean ‘authentic’, ‘genuine’ or, more colloquially, ‘top-quality’, which they say epitomises all that they represent – their ethos, ambition and everything they create. Started with little finance, but plenty of passion, they grew Pukka on their beliefs in Ayurveda – the ancient Indian art of living wisely – and the incredible health benefits of organic herbs. They are proud to say that all their herbs and products are certified organic by the Soil Association and the USDA* and can all be traced back to the field in which they were grown. They make regular visits to the farmers we work with to learn from as well as educate them. Like all relationships, it’s a two-way thing. 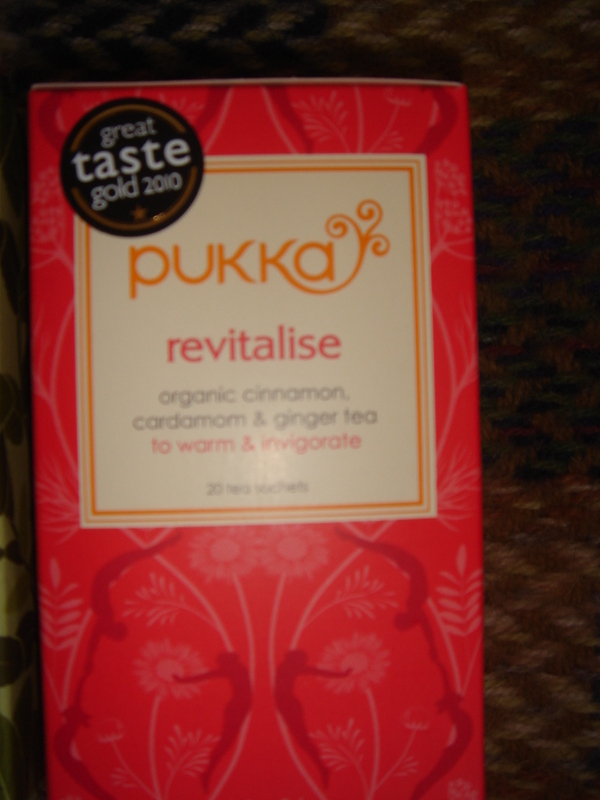 With all of this in mind, Pukka was a perfect brand for me to review as it is in keeping with my beliefs. They not only sell tea but a whole host of other goodies based upon Ayurveda. Well worth checking out. 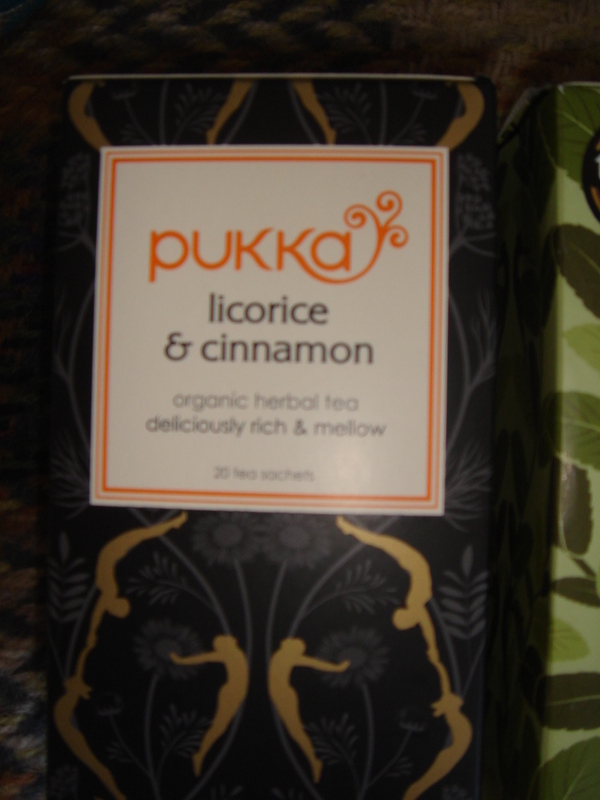 I was sent licorice and cinnamon; three mint; and revitalise teas. I love licorice tea and have several brands of different flavours and mixes, and this is a real sweet treat, especially with the cinnamon. Perfect for after dinner cosying in front of the telly, or on a cosy night in. You can taste the licorice first off and then the sweet aftertaste of the cinnamon. Yum! The three mint tea is lovely. We took this on holiday it was so nice! The three mints- peppermint, spearmint and fieldmint- really complement each other to give a really light, lovely minty brew. The revitalise tea is labelled as ‘to warm and invigorate’ and it certainly does that! It’s a blend of cinnamon, cardamon and ginger. All the flavours work really well together and not one overpowers another. I quite liked this as a morning tea. 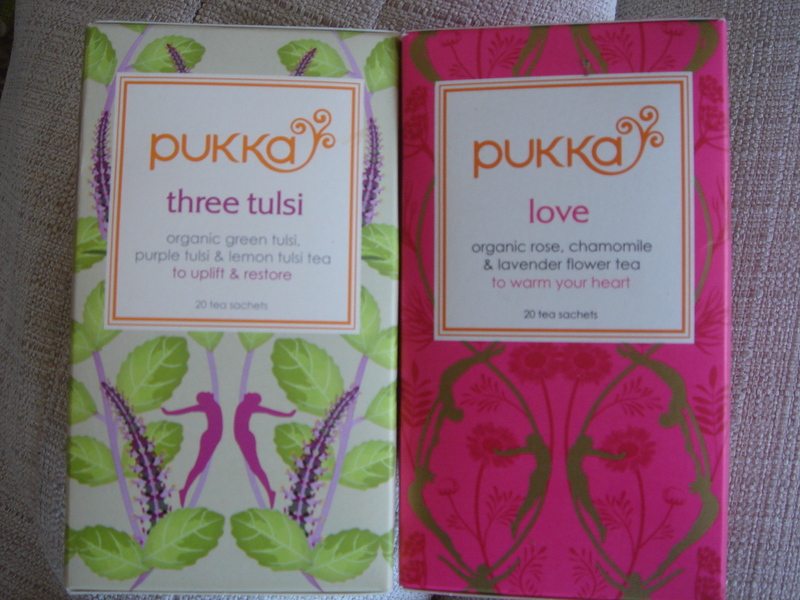 In addition to the samples I was sent I want to add my own reviews of the Three Tulsi tea and the Love tea by Pukka. Tulsi tea is often referred to as The Sacred Herb or Holy Basil due to its ability to lift your spirits. It is also very calming and is said to reduce your cortisol levels and help with times of stress. Aside from these obvious benefits, the tea is very tasty! It’s caffeine free and can be drunk at any time of the day. It’s got quite a strong taste and there is a mild background of fruitiness. There are many benefits to Tulsi tea. Love tea is one of my favourites, which is why I wanted to share it with you here. It’s a real calming tea, with a mix of camomile flowers, lavender flowers among others such as elderflower and rose flower. A really lovely tea, that despite what you may be thinking, does not taste flowery! I have 5 teabags of each tea, so 25 teabags in total, to give away!! Please leave a comment here for each entry, I’d hate to miss any. I will draw a winner next Monday. Entries must be in by midnight GMT on Sunday 16th October 2011. This is also open to international readers so please do enter! Great giveaway! I’m so glad that you let me try the tulsi when we met in Brighton as that is lovely! I think a good tea has to have a good strong flavour – what the flavour is depends on my mood, for example I usually like spicy sweet teas after dinner but tonight I fancied something plainer so had some kuricha tea instead but still delicious! Nice giveaway! I think the teacup from which you drink your tea can make a good tea! I have special mugs that are very important to me and I only drink certain items out of them; great memories! I think a good cup of tea is comforting in the moment you need it. Depending on my mood I can crave anything from good old fashioned builders to a herbal infusion! I follow you on twitter also! and I have just tweeted! Drinking out of a china cup/mug! Awesome giveaway. I think a good tea should be strong with a great mix of flavours. A good tea is all about where you drink it and in what mindset! I love tea. My kitchen cupboards are full of tea. The teacup makes a good cup of tea. It is also important to make your time, drink your tea slowly and enjoy it.